Coborn’s scores big with ‘local’ and ‘better-for-you’ storewide, including in frozen. St. Cloud, Minn.-based Coborn’s became a Midwest powerhouse by basing its product selection, merchandising and services on a deep understanding of its shoppers. 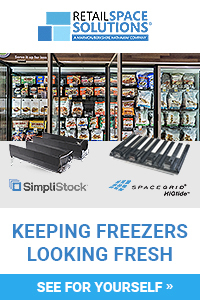 In addition to local merchandising, strategies fueling frozen growth include better-for-you and premium products, and powerful supplier relationships. “Frozen is the fastest growing center-store department, and year-to-date we’re up 4.3% on a same-store basis,” says Andy Knoblauch, vp of center store merchandising. 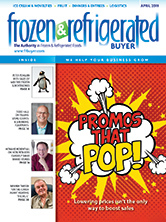 “I think we do frozen a little better than many of our competitors,” adds Kyle Kurr, category manager of frozen and DSD. Coborn’s has been up by around 5% in frozen sales for each of the past three years. Typically there are 110 to 120 doors per frozen department, although that number varies depending on store size. 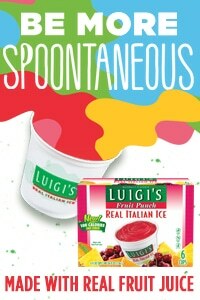 Pizza drives frozen foods, making up about 36% of the department sales. Ice cream is the No. 2 category. This trend is particularly important now because millennials and other shoppers want to better understand where their food comes from, Kurr adds. 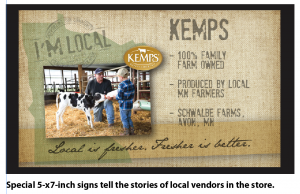 The retailer recently rolled out 5 x 7 signs for local vendors, displaying photos and information such as location, history and awards won. “A lot of this is about being able to tell the story,” Kurr observes. Key local Minnesota vendors in frozen include Heggies Pizza, Bernatello’s (pizza), and Kemps Ice Cream. Some local brands are known only in certain markets so they just appear there. Coborn’s mentors local vendors and helps them grow. Heggies, for example, began by selling pizza to bars, and then to a few convenience stores and grocery stores. Coborn’s was so pleased with the early success of this line that it connected Heggies with a local distributor to expand distribution to all 50 grocery stores. “They’ve just grown really big, and we’ve helped them do that,” Knoblauch says. Sometimes Coborn’s gets temporary exclusivity with local brands. For example, it sells the local brand Ole & Lena’s Pizzeria, a “tavern-style” pizza, in the Fargo/Moorhead market. “We were the first retailer to support them, so we asked for exclusivity for six months,” Kurr relates. 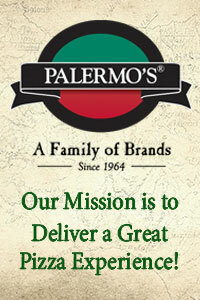 Another local brand came to the retailer through its CobornsDelivers online unit. Let’s Dish! — which operates in the Twin Cities — allows shoppers to prepare freezer-ready meals in its stores. CobornsDelivers arranged to sell and deliver some of the brand’s pre-made frozen meals. That was followed by Coborn’s picking up the brand for some stores. It now sells the products exclusively in a few Minnesota stores and may expand this more widely in the state. Coborn’s frozen business has been lifted by the growth of trends that include better-for-you eating. 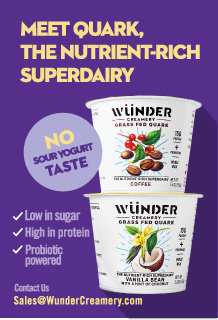 One important example is the move to vegetable-based product offerings. 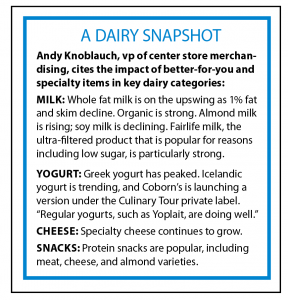 Knoblauch pointed to the “’premiumization’ of several frozen categories” as a force accelerating sales growth. Premiumization has also had a big impact in the pizza category. Coborn’s also runs a periodic “Pick 5” promotion for premium pizza, which focuses on five items for $25. This is especially popular around New Year’s Eve and other holidays and special occasions. Bowl dinners are surging, with products from Conagra out front. A dinner might include, for example, a mix of items such as quinoa, kale, rice, chicken, and beans. “The dinner category has transformed into the bowl,” Kurr says. The impact on sales has been dramatic. Frozen dinner entrees are up close to 9% year to date for the retailer. Bowls from Conagra’s Healthy Choice brand sell for about $3.50 each, considerably higher than traditional frozen dinner entrée items. Private brand is another important factor boosting frozen business. This year in particular has been strong, with private label up about 7%. A range of private brands are purchased through Topco, including Cow Belle Creamery (ice cream), @ease (skillet meals, snacks and sides), and Ale Haus (pizza). One of the newest private label brands is Culinary Tours, a premium line. 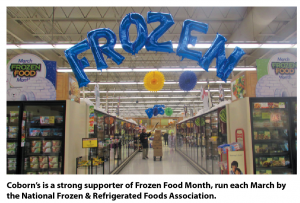 Promotions play a key role in frozen marketing, including activities related to National Frozen Food Month and National Ice Cream Month. 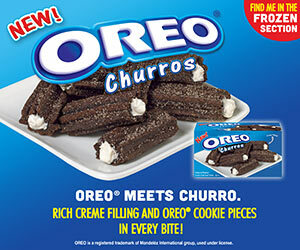 The retailer concentrates its advertising on the strongest items, rather than trying to push a wider range, Kurr says. For example, it promotes two pizzas every week, one high-tier, such as a tavern style, and one lower-tier. Supplier relationships are key to Coborn’s growth, both in frozen and storewide. These relationships are important to smaller retailers, which often lose out to big chains in the battle for manufacturer attention. 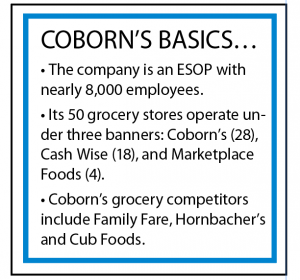 Coborn’s latest annual ESOP event drew 800 employees. Many retailers would charge vendors to attend such a meeting, Knoblauch says, but Coborn’s invited suppliers at no cost. A record 150+ vendors attended the latest event, including 32 new local vendors that had never participated before. Many provided samples to retailers at the event.